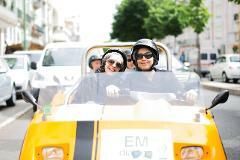 This tour is perfect for those who wish to discover the city through its historic and cultural heritage. 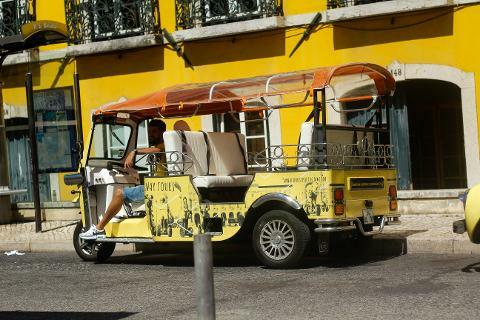 Our fearless drivers will take you along Lisbon’s oldest quarters, the most picturesque and colourful neighbourhoods characterized by its narrow streets, winding alleyways, steep flights of steps and old ladies at the windows. 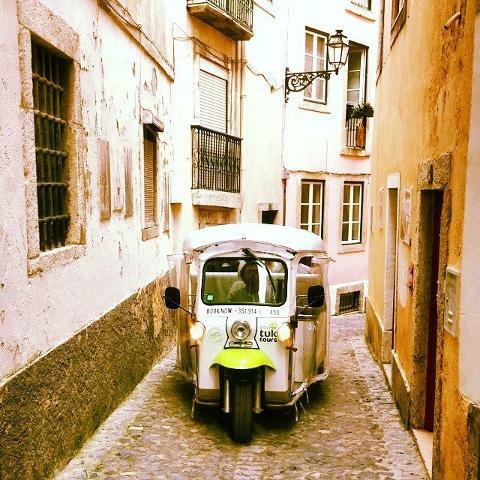 Visitors always fall in love with the old districts such as Graça and Alfama and you will soon make part of this Lovers list. 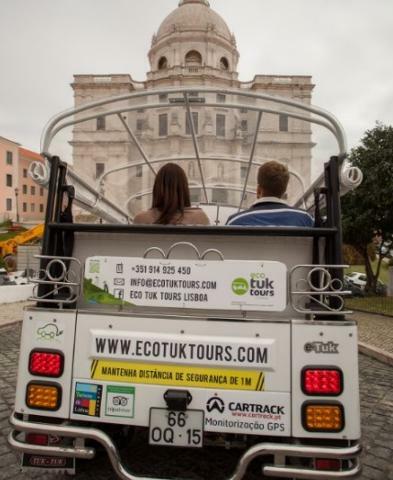 In addition to the eco tuk-tuks, and if conditions are propitious, you can expect a quick stop in Alfama for a 10 min walking tour, because there is nothing like a power walk in the old Arab district of the city. 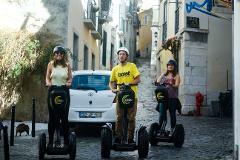 Be ready to see for yourself the well-lined lanes, small arches and stone-paved terraces that are a delight to explore. 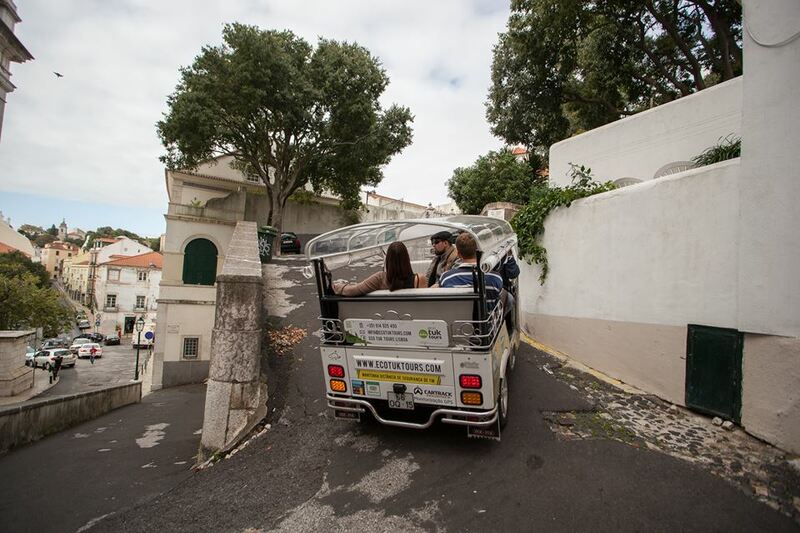 The highest point in Lisbon is located in Graça and we will climb it together in 4 electric wheels until we reach the beautiful belvedere that kisses the sky. It’s called “Senhora do Monte” belvedere and it’s high, impressive, with an astonishing view over the city and if you fall down… Forget that option. 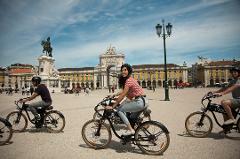 Senhora do Monte Belvedere – One of the highest points in the city with a magnificent view, especially popular at sunset. * Please bear in mind that this experience is a 1h30 Tuk Tuk Tour, this means that In the event of traffic or any other restrictions beyond our control, this may lead to changes regarding the planned stops in order to meet the schedule.